TV Boxsets and special collector’s editions have become Blu-ray’s best weapon in its battle for survival against streaming Video on Demand (VoD). With a 1080p edge, greater sonic clarity and on-the-shelf pride of ownership, there’s been plenty to keep us buying over the past year. Here’s a selection of some of the best currently available – admittedly filtered through the wet-sock of own my genre-centric washing. Obviously, there’s much of note that’s not included. It’s arguably unforgivable to pass over both Blacula: The Complete Collection (actually just two movies), and the Hayao Miyazaki Complete Collection, a priceless but pricey compilation from Studio Ghibli, but what’s left should have most disc addicts spinning in delight. All the weirdness, all the freaky chills, together for the first time on Blu-ray. With David Lynch’s 24 year old supernatural mystery due to return to our screens in 2016, what better reason to revisit Twin Peaks in Full HD? All the episodes have been beautifully restored from original 35mm assets and blessed with a subtle 7.1 audio remix. The set also includes a 4K dust-busted version of the prequel Fire Walk With Me, in addition to The Missing Pieces, a feature length collection of deleted and extended scenes. It’s worth noting that some buyers have reported sync issues with this section, so check it on your equipment early. It goes without saying that any self-respecting SF fan or BD aficionado will already have Ronald D Moore’s celebrated Battlestar reboot in their collection (and if you haven’t yet, what are you thinking?) but isn’t it about time that you also paid homage to Glen A Larson’s original? 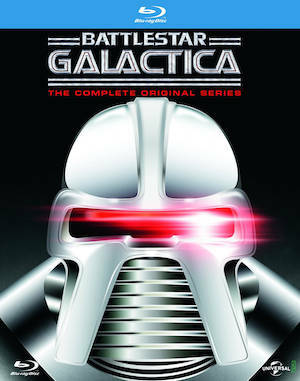 This Blu-ray boxset comprises the 24-episode original run (yes, that’s how few were made before production costs were deemed prohibitive), along with its forgettable 10-episode sequel, Battlestar 1980. The stories may be hokey, but the VFX model work and production design remains a delight, and those Cylons look sensational in Full HD. The audio in the original series has also been remixed for 5.1. The set includes the special features first seen on the show’s DVD release. Perfect for retro telly connoisseurs. 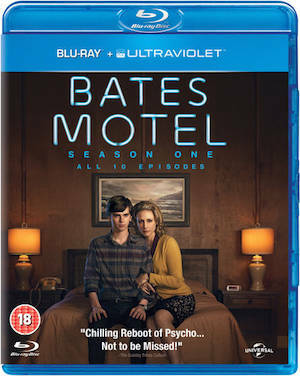 It would have been all too easy to dismiss this series reworking of the Hitchcock classic as puerile, yet Bates Motel has plenty to recommend it. The show plays tricks with period trappings and is preternaturally dark. Once the dysfunctional Bates clan have their hooks in, you’ll be gagging to go along for the ride. There’s something decidedly Twin Peaks about the show, with oddball characters and dark menace, and the debut season is the stronger of the two. But it’s a great looking affair, with a really atmospheric DTS-HD MA 5.1 mix which adds to the fun. Extras are limited, but don’t let that put you off. A great, off-the-wall thriller. If your heart doesn’t beat faster at the thought of a GOT boxset then you’re probably a White Walker. With its myriad plots, sprawling cast and rapid-fire location changes, this is one show that positively benefits from being watched back-to-back. 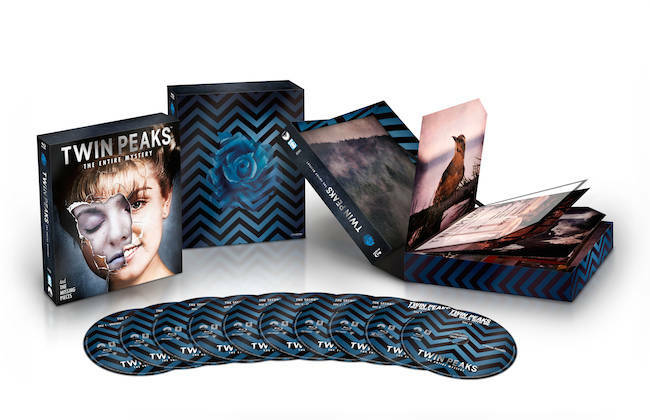 A five disc set, this box features three episodes a platter – and it looks sensational. Unrelentingly cinematic, Blu-ray uniquely makes the most of Game of Throne’s evocative photography. All the episodes feature 5.1 DTS-HD MA mixes that also add to the scale of the show, rewarding those with multichannel systems. All episodes, with the exception of the opener, feature commentaries which provide insights and banter once you’re ready for a re-watch. There are also some deleted scenes, short featurettes and a great picture-in-picture edition of the ninth episode The Rains of Castamere, which includes scene specific interviews plus three ways to gasp at The Red Wedding. The fourth season Game of Thrones boxset is scheduled for release in February, prior to Season Five’s TV debut. A must for fans of epic fantasy. AMC’s compelling reworking of Robert Kirkman’s gruelling comic series enjoys fine treatment here. 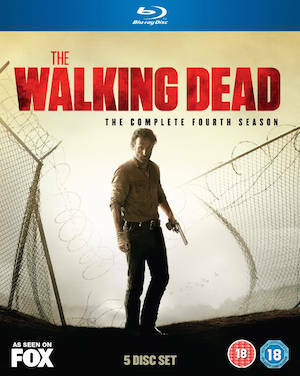 This 16-episode five disc set sees our disparate heroes forced from their prison idyll, separated and en route to Terminus, walkers at every turn. Each episode is a nerve-shredder, and the accompanying 5.1 mix suitably chilling. While the colour palette looks as drained as a week-old corpse, the disc’s encode really celebrates the series’ gritty 16mm film style. Extras to get your teeth into include seven episode commentaries and an assortment of featurettes. Zombie hunters will die for this.